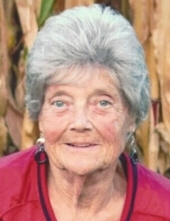 Wanda Faye Talley, 76, of Norris passed away on Thursday, March 21, 2019 at The Loft in Canton. She was born April 12, 1942 in Tonti Township, IL to AJ Simpson and Laura (Creamer) Briscoe. She married the love of her life, M. Harold Talley on June 26, 1972; he preceded her in death. Her parents; siblings, Willie Simpson, Dorothy Hull, Elizabeth Hixenbaugh and three half siblings also preceded her in death. She is survived by her daughters, Paula (Scott) Cranford of Houston, TX, Becky (Jim) Gilmore of Norris whom she had resided with for the past several years; step-children, Teresa (Jeff) Diamond, Jeanette Hodges, Stephen Voltz, Debbie Wisehart all from Kansas; grandchildren, Guy (Nisha Siede) Phillips, Tiffany (Christopher) Sigrist, Chera (Jason Britt) Gilmore, Carissa (Blake) Monroe, Tyler (Kaylynn Martin) Gilmore, Crystal Hamlin, Christina (Tinie) Gilmore; great-grandchildren, Amelia Monroe, Marliegh and Parker Sigrist and Ariyanna and Dallas Britt. The list can go on and on because Wanda was truly Grandma to many. She loved cooking, listening to music, especially old country, Biblical Word Search, Cardinals baseball, being outdoors, watching the Hummingbirds, spending time on the boat with her family, her beloved bird, Paris and watching Animal Planet. Cremation has been accorded and a celebration of life will be held on Saturday, March 30, 2019 from 2 p.m. to 4 p.m. at Tracy’s Supper Club in Norris. To send flowers or a remembrance gift to the family of Wanda Talley, please visit our Tribute Store. "Email Address" would like to share the life celebration of Wanda Talley. Click on the "link" to go to share a favorite memory or leave a condolence message for the family.